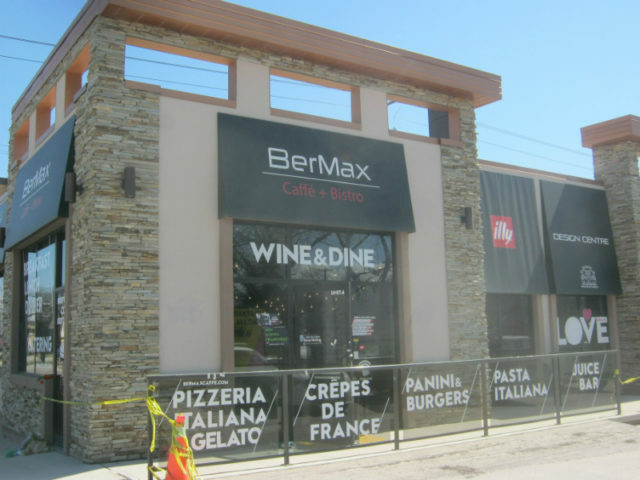 Winnipeggers expressed shock and outrage after the Jewish-owned BerMax Caffé & Bistro (pic above)was allegedly broken into, robbed and vandalized, and a female employee was purportedly assaulted on April 18. But in a shocking turn of events on April 24, Winnipeg police announced that the store’s owners had been charged with public mischief for allegedly staging the attack. BerMax employees reported the initial incident as a robbery and police said they found the place trashed and that one woman had been sent to hospital. 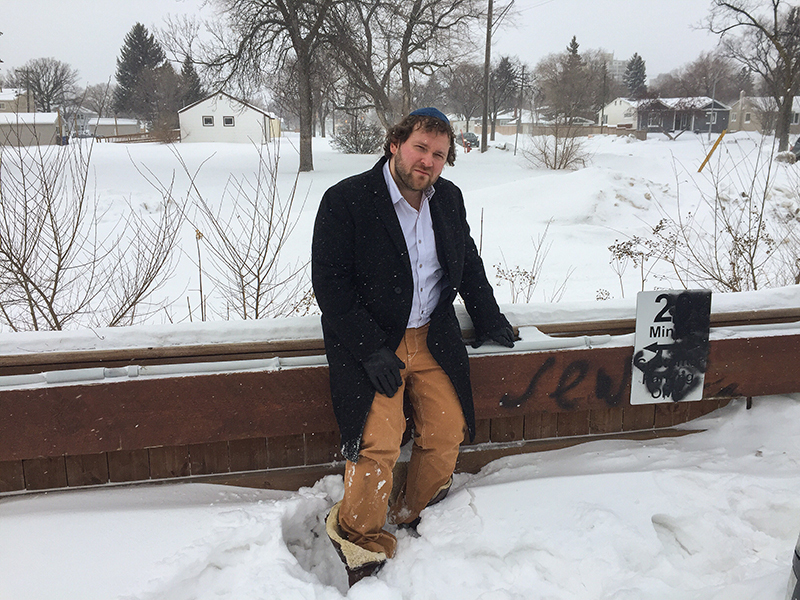 At the time, Winnipeg Police Service spokesman Rob Carver said police were “investigating this as a hate crime,” because anti-Semitic graffiti had been left behind, and the café had been the subject of previous anti-Semitic vandalism. But on April 24, the store’s three owners were charged, including the one who had been sent to the hospital. “Investigators believe that the initial report of a robbery was staged. Further, the anti-Semitic graffiti and vandalism were also falsely reported as being done by outside suspects,” the Winnipeg Police Service wrote on Facebook. The restaurant was founded in 2015 by the Berent family – Jewish-Ukrainian immigrants who came to Canada in 2005 by way of Israel – and was operated by Oxana Berent and her son, Maxim (pic on left). A Clinton appointee pleaded guilty to treason charges after a federal grand jury indicted her for colluding with foreign agents. According to a press release from the Department of Justice, Candace Marie Claiborne — (pic above left) who worked under both Hillary and Bill Clinton — pleaded guilty to conspiring to defraud the U.S. government, concealing contact with foreign spies, obstructing an official proceeding, and making false statements to the FBI. 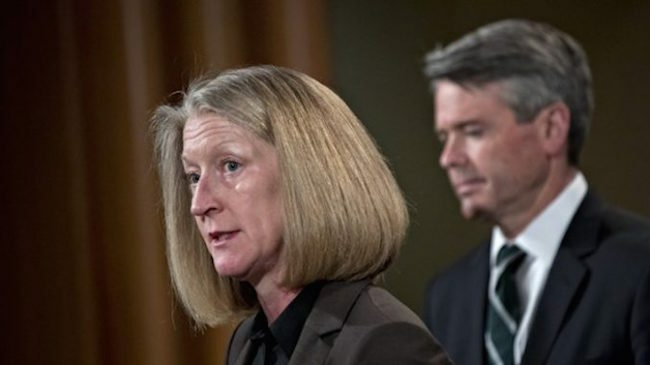 Claiborne, a 60-year-old veteran State Department employee, possessed a Top Secret security clearance and concealed her extensive contacts with Chinese intelligence agents. The indictment indicates that Chinese spies lavished Claiborne with thousands of dollars in gifts as part of a pay-for-play scheme. In addition to cash payments, Chinese spies also paid Claiborne with vacations, an apartment, Apple electronics, and tuition to a Chinese fashion school. 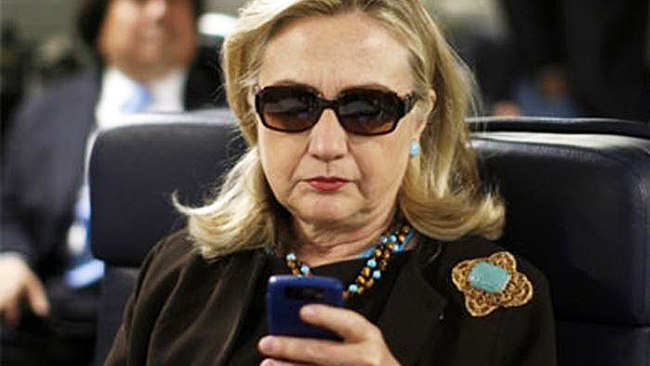 Suggesting she learned tricks from Hillary Clinton, her former boss, Claiborne also told her co-conspirators to delete all emails and evidence after they were busted by U.S. federal officials. Claiborne began working as an Office Management Specialist for the Department of State in 1999, which is when former President Bill Clinton was in office. She worked at the State Department up until her indictment, including when Hillary Clinton served as secretary of state between 2009 and 2012. Lt. Gen. Viktor Poznikhir, First Deputy Chief of the Russian General Staff’s Main Operations Department said Wednesday that the US was trying to form a missile defense network to try and shoot down missiles that are fired in response to a nuclear attack. “The deployment of missile defense systems near our borders creates a powerful strike potential for the US enabling it to deliver a surprise [the attacked party won’t be able to strike in response] missile and nuclear strike on Russia,” the general (pictured below) told the Moscow Conference on International Security on Wednesday. The global missile defense system, which comprises a host of Patriot and Terminal High Altitude Area Defense (THAAD) systems, give Washington the potential to destroy intercontinental ballistic missiles of Russia, China and other possible adversaries while they are still in launchers. Poznikhir further warned that countries that are currently hosting or are slated to host the US missile shield components would be in trouble in case of war because these systems provide for major targets for Russia. 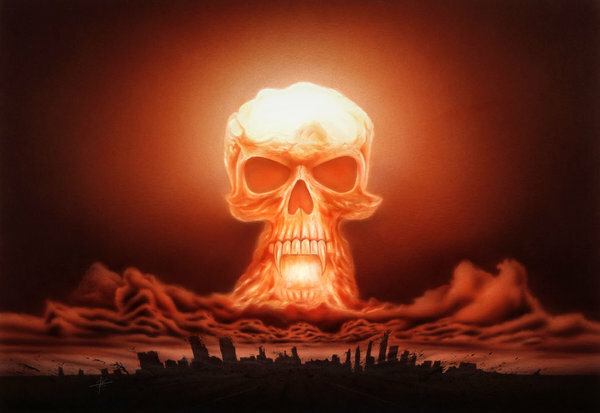 They also raise the possibility of widespread radioactive contamination because in the host countries as the missile defense systems’ limited range means the incoming ICBMs will be destroyed over their own territories. “Therefore, the countries taking part in implementing the Pentagon’s anti-missile plans may suffer,” he explained. Pznikhir said Russia has not been sitting idly by to watch the US military buildup and has already developed adequate measures to make sure the shield can be defeated. He named the upcoming Sarmat ICBM and the Avangard hypersonic warhead as two of the Russian weapons that are designed to bypass American defenses. Sarmat is said to have virtually no range limit. The missile is planned to replace the Soviet-era Voyevoda and is able to carry massive payloads across the North or the South pole to anywhere on the planet. 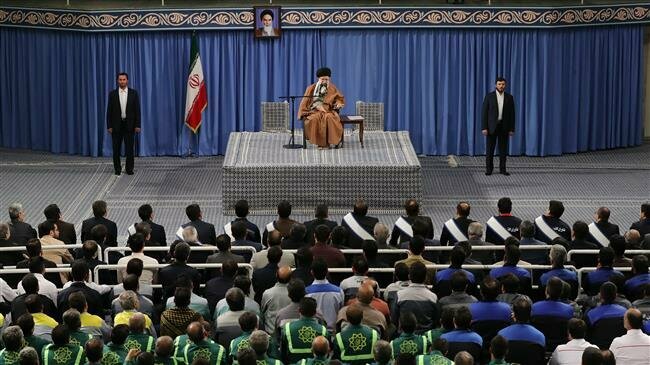 Ayatollah Khamenei said that although the US sanctions against Iran have caused problems, they would benefit the country if “correctly and logically” dealt with. The Leader said Iran appreciated a lower reliance on oil sales and considered it as “a kind of opportunity” to focus more on its domestic capabilities. The administration of US President Donald Trump has said it seeks to stop Iranian oil sales by imposing sanctions on countries that continue purchasing Iranian crude after May 1. 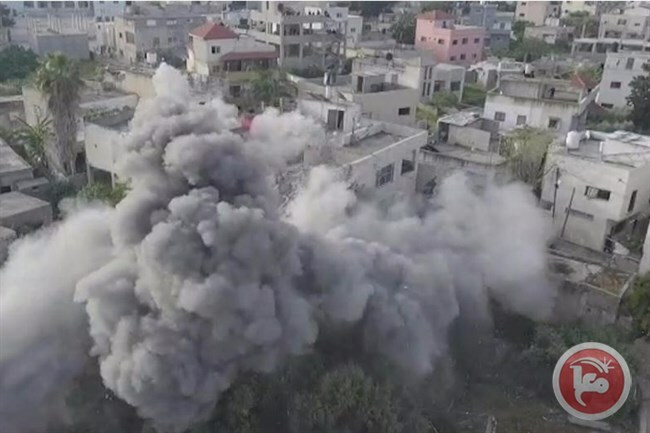 SALFIT (Ma’an) — Israeli forces punitively blew up the family home of 19-year-old killed Palestinian Omar Abu Leila, who carried out a stabbing and shooting attack near the illegal Israeli settlement of Ariel, in the northern West Bank district of Salfit, on Wednesday. Local sources confirmed that dozens of heavily armed Israeli forces and several bulldozers raided the al-Zawiya town in the Salfit district. Clashes erupted among Palestinians and Israeli forces who surrounded the home, as a number of activists and supporters had gathered for a vigil to prevent the demolition of the family’s home. Israeli forces assaulted journalists present in the area and suppressed them using tear-gas bombs and stun grenades. Sources said that Israeli forces forced the family to evacuate the home and placed several explosives inside. The complete demolition of the two-storey home took more than six hours. Israeli forces had raided Abu Leila’s home earlier last week, took footage and measurements of the property, in preparation to carry out the demolition. The family had received a demolition order on March 26th, less than a week after Israeli soldiers shot and killed Abu Leila. Saudi Arabia’s Interior Ministry says it has executed 37 people in a single day “in connection with terrorism crimes,” as a crackdown led by Crown Prince Mohammed bin Salman against pro-democracy campaigners, human rights activists and intellectuals widens in the kingdom. The statement added that the executions took place in the capital Riyadh, the Muslim holy cities of Mecca and Medina, the central province of Qassim, oil-rich and Shia-populated Eastern Province and the kingdom’s southern province of Asir. The convicts were all Saudi nationals. Meanwhile, the Arabic-language Ahrar television network, in a post published on its official Twitter page, reported that imprisoned Shia activists were among those executed by Saudi authorities. Earlier this month, Amnesty International warned that Saudi Arabia is making use of the death penalty to crush opposition figures. The London-based rights group said Saudi Arabia’s public prosecutor was seeking the death penalty for more people, noting that prominent preacher Sheikh Salman al-Awdah was one of those targeted for execution. Over the past years, Riyadh has redefined its anti-terrorism laws to target activism. 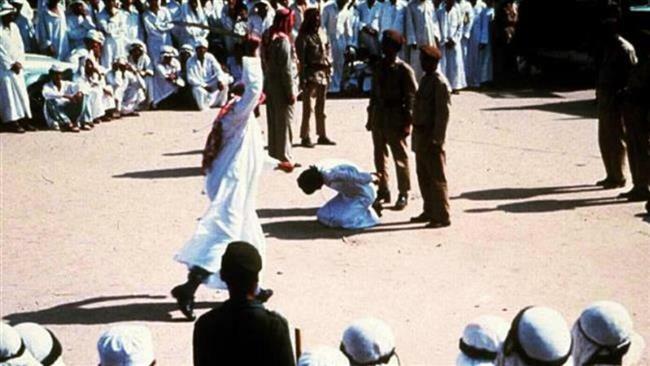 Tuesday’s mass execution was Saudi Arabia’s largest in the past three years. In January 2016, Saudi authorities executed Shia cleric Sheikh Nimr Baqir al-Nimr, who was an outspoken critic of the Riyadh regime, along with 46 other men on terrorism charges. Nimr had been arrested in Qatif, Eastern Province, in 2012. 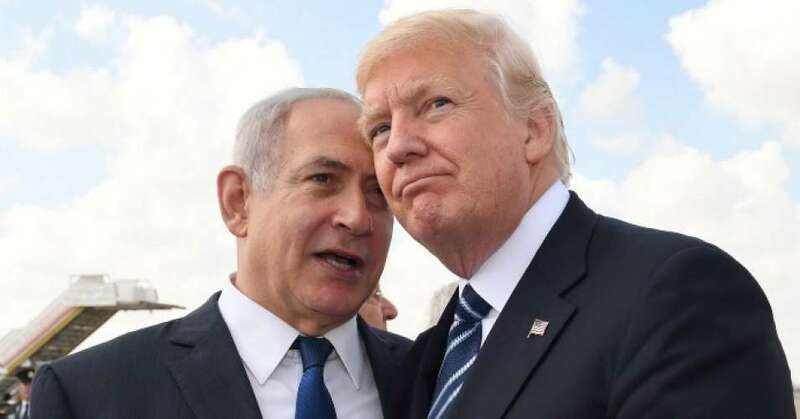 Israel’s Prime Minister Benjamin Netanyahu said he will name a settlement in the Golan Heights after Donald Trump, in a show of gratitude for the US president’s decision to recognize the region as Israeli territory. “In honor of President Trump, who recognized Israel’s sovereignty over the Golan, [Israel] will soon call for a settlement in the Golan Heights in his name. Happy holiday!” a message posted from Netanyahu’s Twitter account said on Tuesday. Trump announced he was recognizing the Golan Heights as being part of Israel late last month, in the run up to Israel’s election in April. Israel occupied the Syrian region in the 1967 Six Day War and later annexed it in 1981 in a move that was not recognized by the international community or the UN Security Council. About 40,000 people live in the Golan, half are Druze and Alawites, and half are Jewish settlers. The PM’s decision to name a settlement after Trump is just the latest gesture of admiration the Israeli leader has displayed for his US counterpart. Netanyahu’s Likud party shared posters of Trump and Netanyahu around Israel before the election, while Trump told American Jews that Netanyahu was “your prime minister” as he celebrated his recognition of the Golan as Israeli territory at the Republican Jewish Coalition convention earlier this month. Trump has also recognized Jerusalem as Israel’s capital and moved the US embassy there, and pulled funding to Palestinian aid organizations. 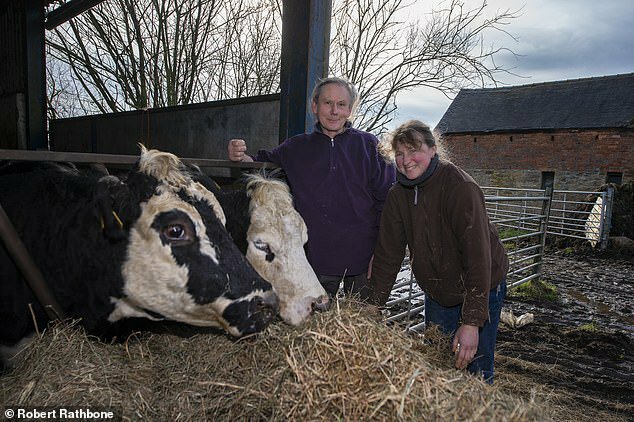 Pictured above, the 61-year-old farmers, Jay and his wife Katja, just couldn’t take the guilt anymore after spending many years as beef farmers. They recently decided to give their entire herd to an animal sanctuary. It’s interesting because he’s been a vegetarian for thirty years, yet at the same time this was his occupation, and through it he discovered that each individual cow had their own unique personality. They are loving, caring, intelligent and affectionate animals. Watch and see how the cows react after a long winter in the cow shed when they are set free to get to the pasture again.